Your entry into the large format also available with full-automatisation. Guarantees prime material handling trough large work space. Best suitable for sheets such as paper, board or even films and foils, rubber, leather, sandpaper and many other materials in the form of piles or in single. In addition to their outstanding mechanical basic concept, user-friendly operation and high safety standards are significant features of Perfecta high-speed cutters. 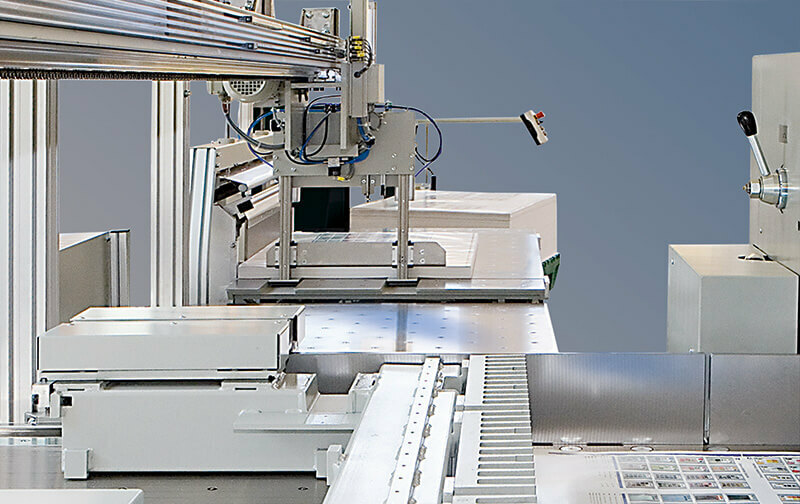 Being in worldwide use, Perfecta products are not only employed as single machines but are also integrated in cutting systems. The PERFECTA Cutpit offers particular convenience for the processing of various cutting jobs. Depending on what kind and extent of the work they have to do, users can choose among three different operating modes. Being the central control element, the user interface of the touch screen can thus be matched to individual needs. Clearly understandable symbols make the machine easy and intuitively to operate. 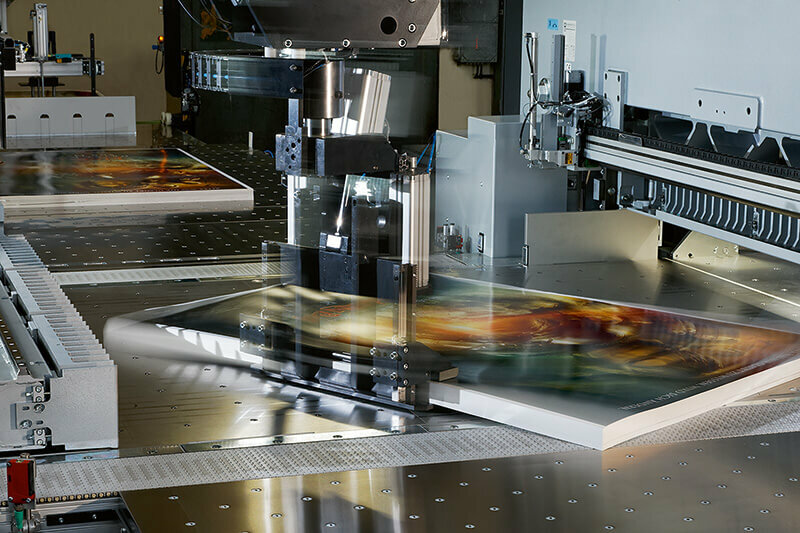 All working processes before, during and after cutting can be centrally monitored and evaluated. This guarantees you a smooth and efficient workflow and is a significant building block for an economic production process. 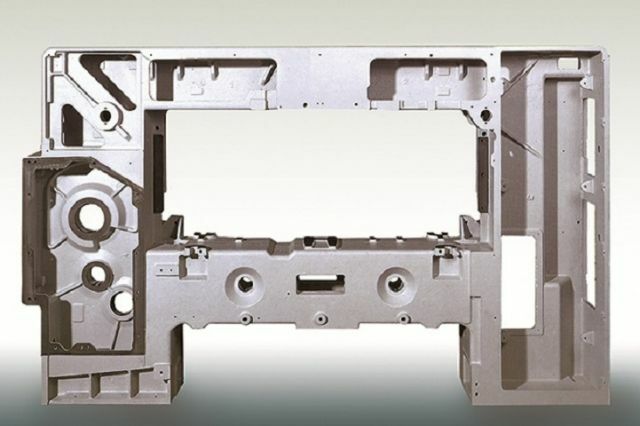 The doubly enclosed PERFECTA cast-iron machine frame gives the high-speed cutters the necessary stability. 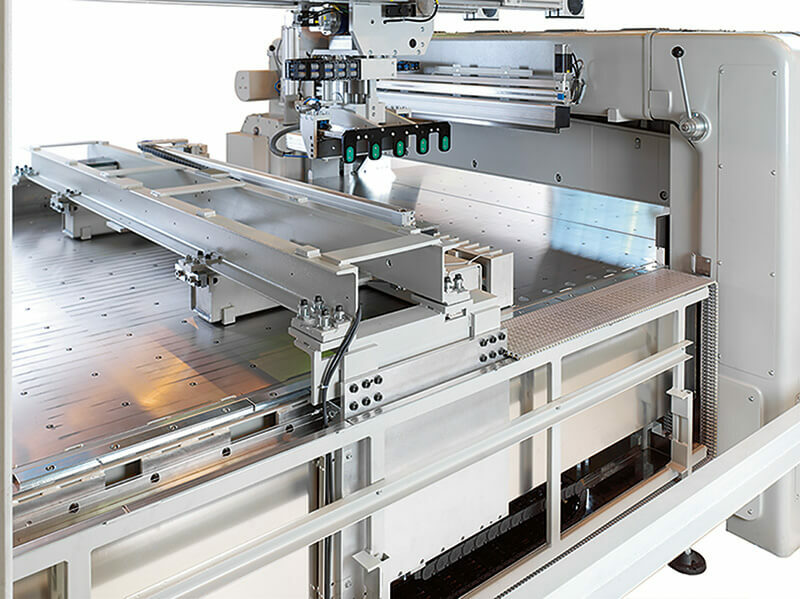 The PERFECTA ServoDrive guarantees precise positioning of the cutting material by a servo-based or linear backgauge drive system. The robust PERFECTA knife drive gearbox ensures high efficiency and guarantees long life with very minimal maintenance being required. The slotless PERFECTA cutting table facilitates gentle stock handling and prevents paper dust or debris building up in the mechanical system. 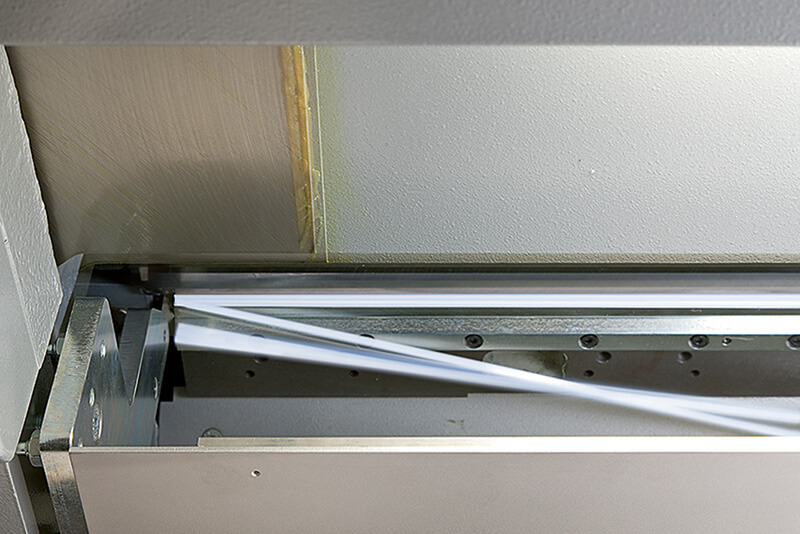 Its cladded surface of corrosion-free stainless steel protects the machine from wear and damage. The central PERFECTA clamp drive optimizes the distribution of the clamping force to ensure utmost cutting precision. The PERFECTA knife changing device with two-point support stabilizes the knife and prevents unwanted movement. Double self-testing of clamping pressure settings or light guard reliability in the safety computer guarantees a safe workflow. Best suitable for sheets such as paper, board or even films and foils, rubber, leather, sandpaper and many other materials in the form of piles or in single. In addition to their outstanding mechanical basic concept, user-friendly operation and high safety standards are significant features of Perfecta high-speed cutters. 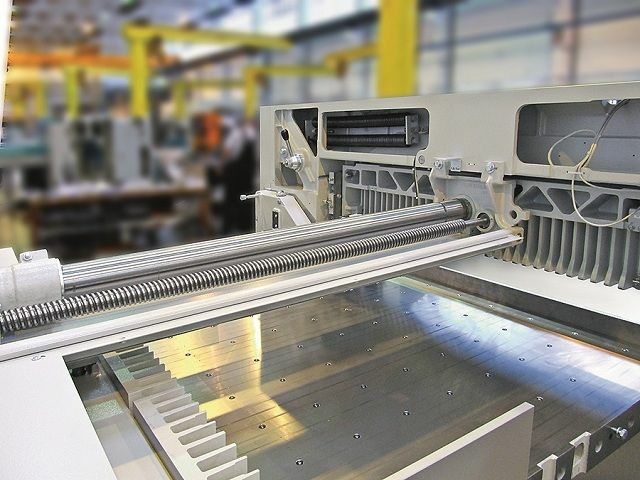 Being in worldwide use, Perfecta products are not only employed as single machines but are also integrated in cutting systems. 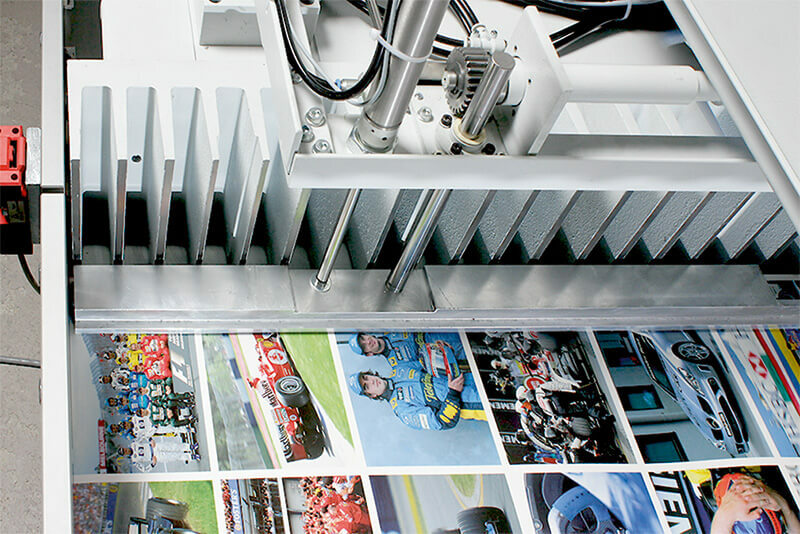 We have the proper machine size for any conventional printing formats. Click at highlighted options for more information. The UC control offers you convenience by menu-prompted operation from a colour LC display with softkeys. You can save any cutting program you have created. Cuttronic allows you to create your own cutting programs. 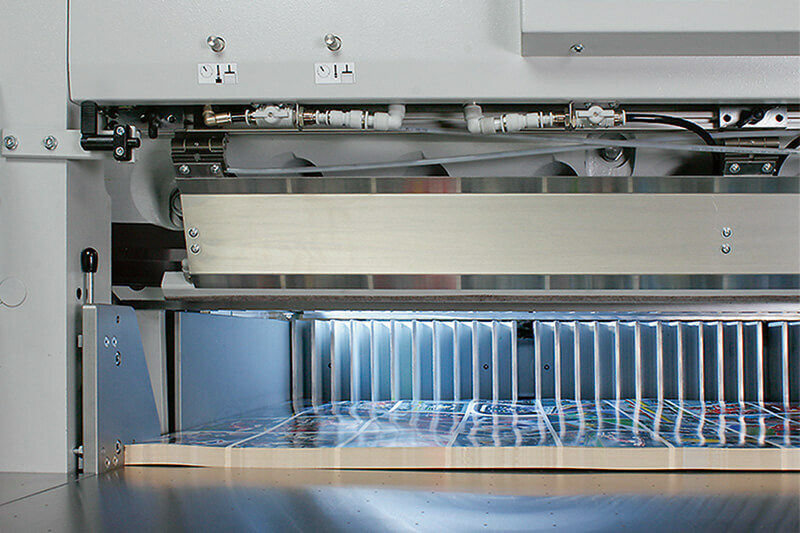 CIP3/4 data that is in conformity with the relevant standards can be directly transferred from the pre-press stage to the machine control where it will be processed. This does not require any additional PC. You can use a USB stick, an Ethernet port (LAN) or a wireless device (WLAN) to transfer such CIP3/4 data to the machine. This cutting program generator is an additional Cuttronic plug-in. You can use it for externally revising your cutting programs and integrate them into your workflow. The integration of the cutting process into a superior MIS serves for efficient planning and calculation of the production process. PERFECTA carbide-tipped knives are ideal for the processing of various materials. Compared with standard HSS knives, carbide-tipped knives are extremely resistant and guarantee longer lifetimes. We also offer the corresponding cutting sticks that match to the knives. When you cut pressure-sensitive paper or film adhesive residues can stick to the knife. The knife cleaning device - a strip of felt soaked with some releasing agent and located in the clamp - moistens the knife back before each cut, thus preventing adhesives from sticking to the knife. For a clamp provided with such a knife cleaning device, you should use a special knife with a non-stick back. Premature knife starting and releasing the clamp from the pile after the knife has completed the cut serve for optimizing the cutting cycle. Thus, repetitions can be made at a time that is up to 25 per cent shorter. The air blast hold-down in front of the knife prevents the parts of the pile just cut off from dislodging, slipping off or interlacing by gently fixing them during the cutting process. The air keeps away from the knife any cutting waste that is persisting or building up. This hold-down in front of the knife is especially suitable for cutting jobs that include repetitions. The cutting line is indicated by a light. The LED cutting light is maintenance-free and insensitive to vibration caused by cutting and clamping. In addition, it has a considerably longer life for it consumes much less energy. 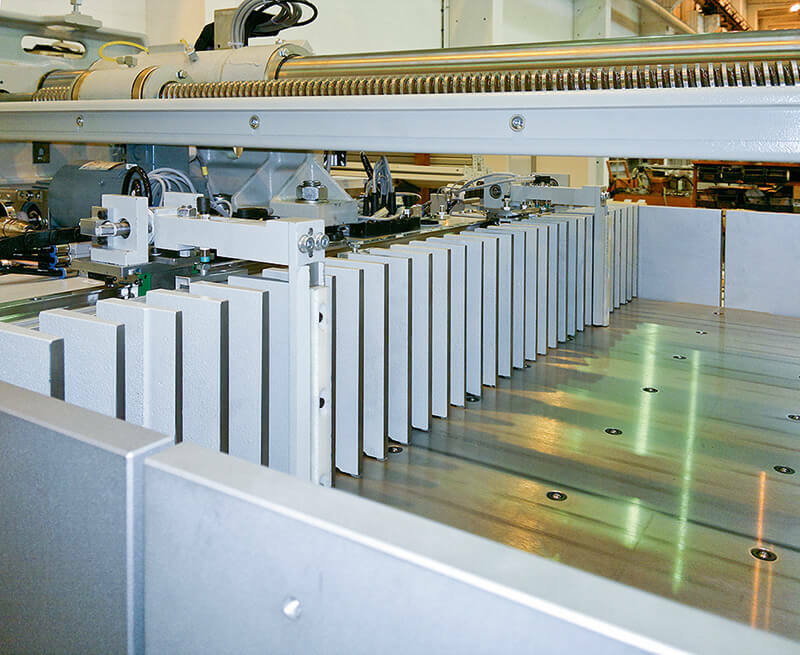 When particularly hard materials such as aluminium offset printing plates are being cut a lot of heat is generated along the cutting edges. This can lead to fusion or burring. 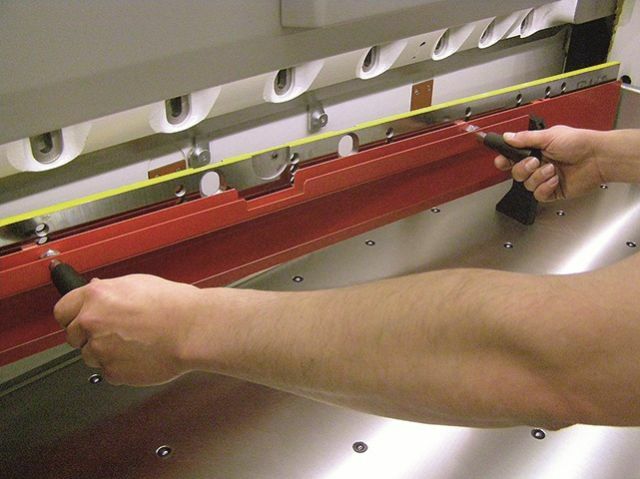 To guarantee a perfect cut even for especially hard and brittle materials the cutting speed can be reduced. This means slowing down the main motor speed from 1500 rpm to 1000 rpm. Alternatively, you can control the cutting speed in an infinitely variable manner through a potentiometer or in individual steps you select on the touch screen. 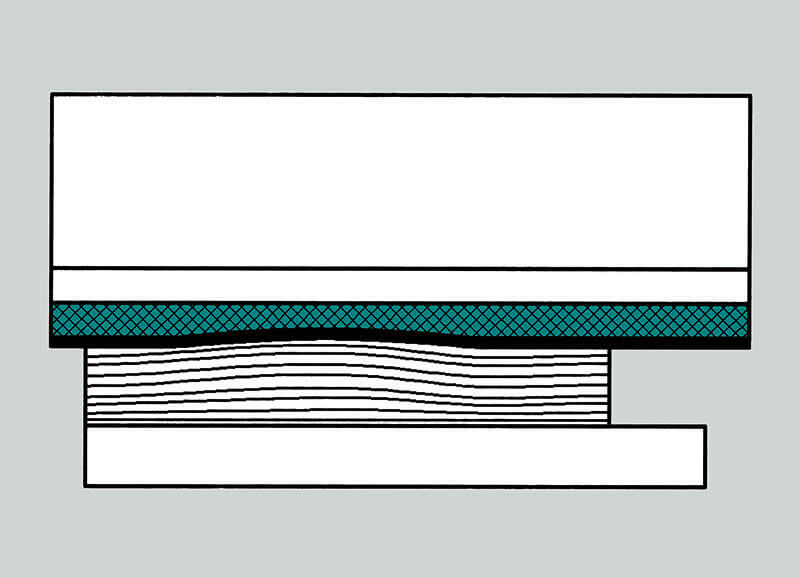 In this connection, both the cutting width and the pile height may be restricted. Enlarged side tables offer more room and space for working on the guillotine. This is, above all, of advantage for loading and unloading or for buffering and packaging the material just cut. This novel air bed technology ensures smooth and gentle handling and enables you to easily move your stock over the table. No longer using the previous valves with their sealing balls guarantees particularly gentle handling of the material without leaving any marks on it. 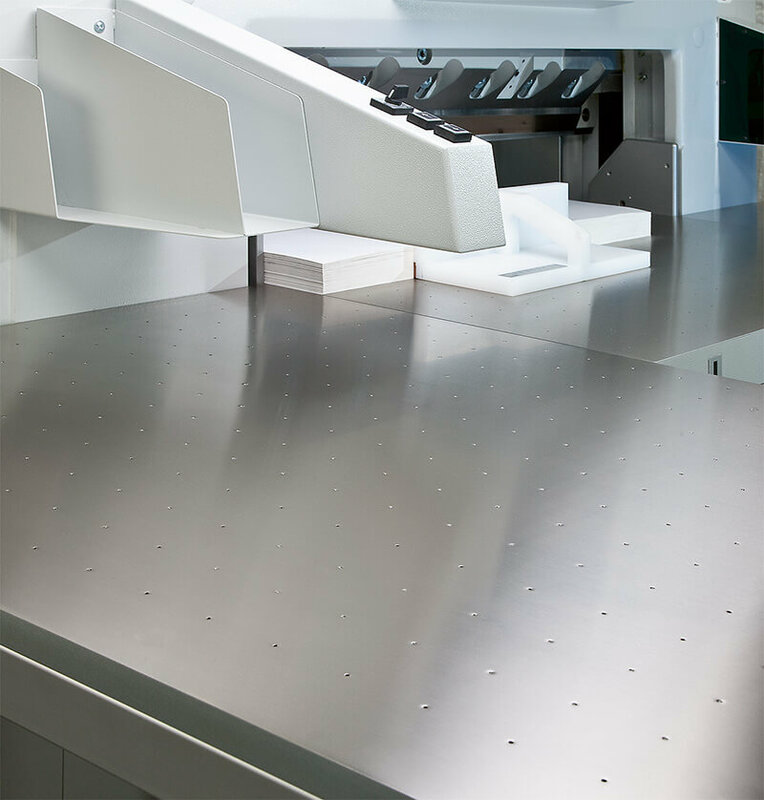 These new micro-perforated air tables are provided with some 350 openings per square metre. They can be connected to a pressurized-air supply system. Simple four-side trimming or many small bleed cuts produce a lot of waste that must be removed during cutting. This is what the automatic waste removal unit is intended for. During the cutting process, the front table opens, and the waste automatically separates from the material cut off and is disposed of into a container or by a conveyor located under the table. The front table opening speed can be chosen in an infinitely variable manner. A lowerable front table (P 92, P 115, P 132) along the cutting line is an important instrument if you want to collect small cut piles, for example, onto pieces of board. A vacuum produced in the lowerable front table can help you to fix the piece of board you want to pile the finished material onto. 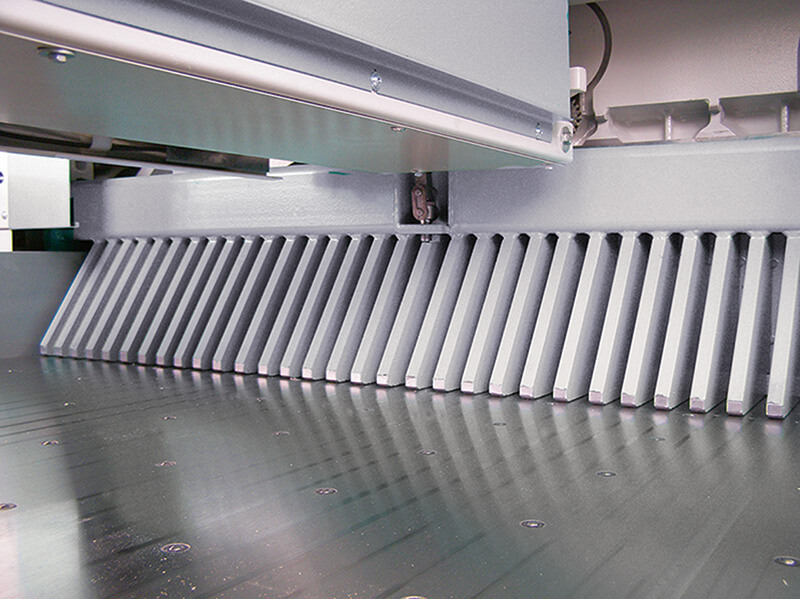 For honeycomb cutting, the front table can be lowered by up to 10 mm. This avoids damage to honeycomb materials as the latter can tilt away by the amount of the knife angle. The working height can be changed to 950 mm. To handle large formats you can enlarge the front table area by transfer corners and swinging, pneumatically operated flaps. 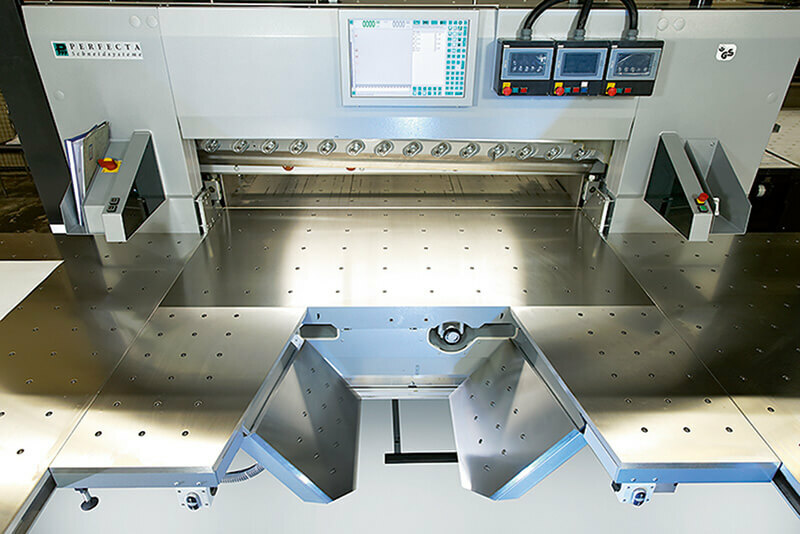 For the PERFECTA 168 TS high-speed guillotine, it is possible to replace the standard 1680 mm rear table with an extended one that is 2000 mm long. This serves for feeding wider piles onto the rear table, or is of advantage if you wish to split large-format stock. 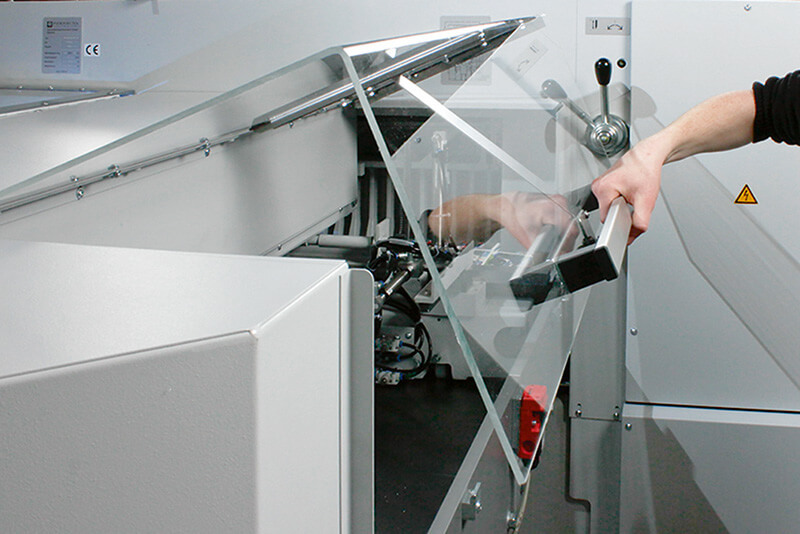 PERFECTA high-speed guillotines have a closed acrylic glass hood as a standard feature. To facilitate cleaning of the rear table and the knife back, the machines can be provided with a hinged alternative for the rear table. This is to limit the clamp lift after cutting. This facility is efficient for low or medium pile heights. This clamp stroke limitation facility is especially suitable for cutting jobs that include repetitions. The wide clamp covers a larger surface of the pile to be clamped. This type of clamp is 200 mm wide (standard width: 80 mm). Thus, the clamp will get firmer grip of smooth or wavy material for a precise cut. This false clamp ensures improvement in cutting extremely small formats such as business cards. The minimum cut is 47 mm. The control system will automatically recognize the minimum dimension possible. The foam pad serves for compensating height differences in the stock along the cutting line, for example, in wavy or particularly hard materials such as plastics. Thus, the clamping force will distribute uniformly over the entire cut. This guarantees precise cutting even of hard or uneven materials. Bulky materials such as corrugated cardboard or foam can suffer damage when being cut as a result of too high a clamping pressure. The clamping pressure minimizer prevents such damage. This swivel-type model is a modified version of the standard backgauge. It serves for compensating the position of skew prints. For this purpose, the backgauge can swivel up to 3 mm around a defined vertical axis. Its swivel can be controlled from the machine touch screen. This function can be integrated into cutting programs. This swivel/tilting version is a modified design of the standard backgauge. 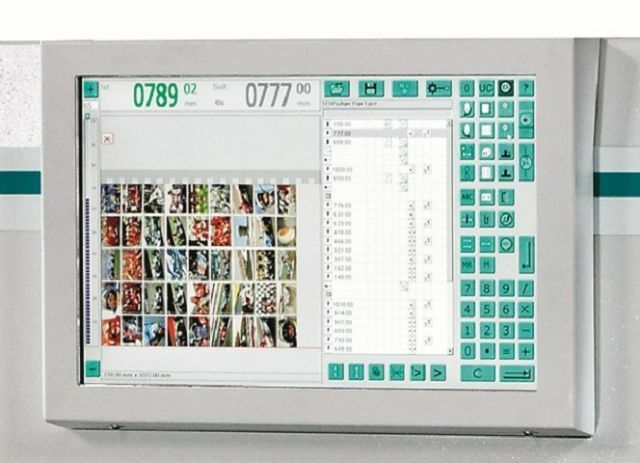 It serves for compensating skew prints or cut deviations caused by over- or undercutting. For this purpose, the backgauge can swivel up to 3 mm around a vertical axis or tilt up to 1.5 mm around a horizontal axis. You can control the swivel/tilting backgauge from the machine touch screen. This function can be integrated into cutting programs. This backgauge-mounted hold-down can prevent cutting inaccuracies. 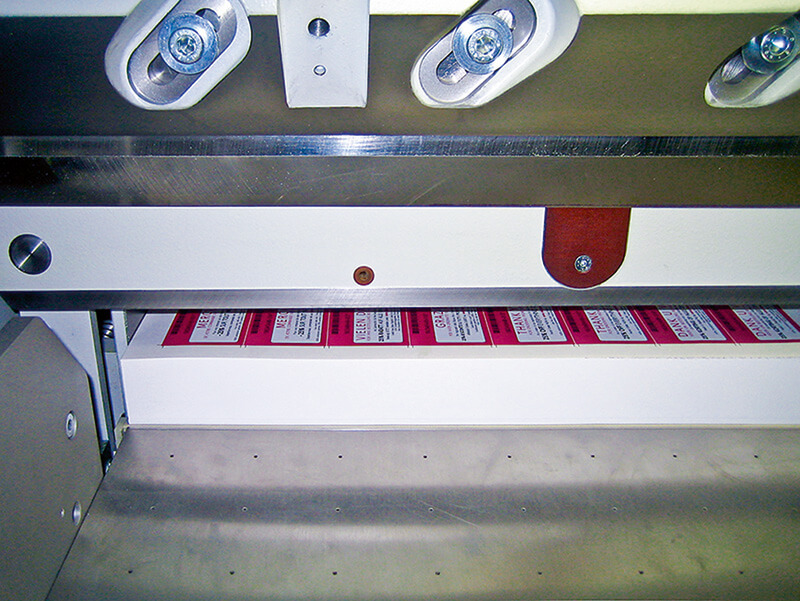 It ensures that the printed sheets will stay in position at the backgauge instead of getting rolled up. The hold-down can be activated either through the cutting program or manually by a pushbutton. As long as the backgauge is moving, the hold-down applies some preclamping force while its maximum main clamping force is 600 N during cutting. 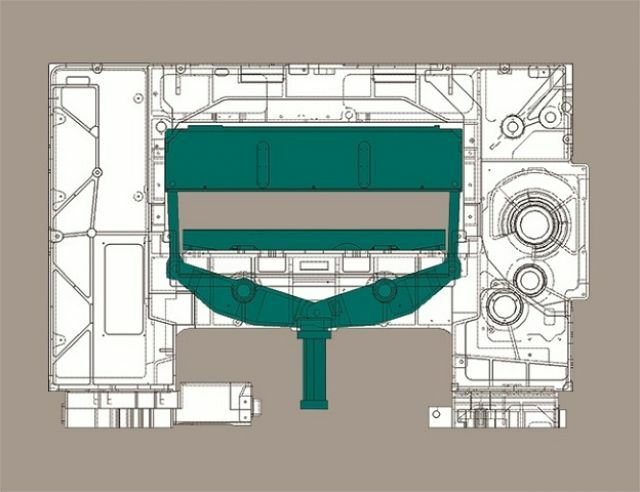 The print mark positioner serves for positioning concave or convex piles by their print marks. 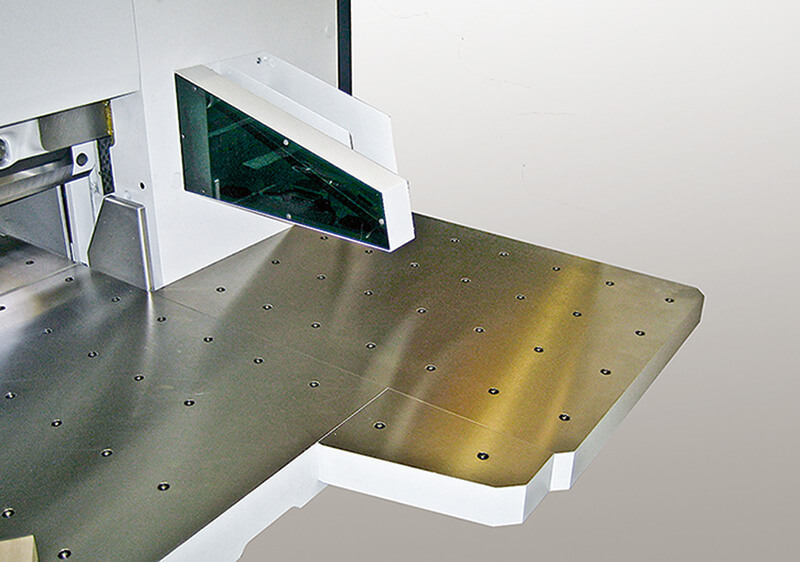 By the use of an automatic gripper clamp system, you can also load the machine through its rear table. 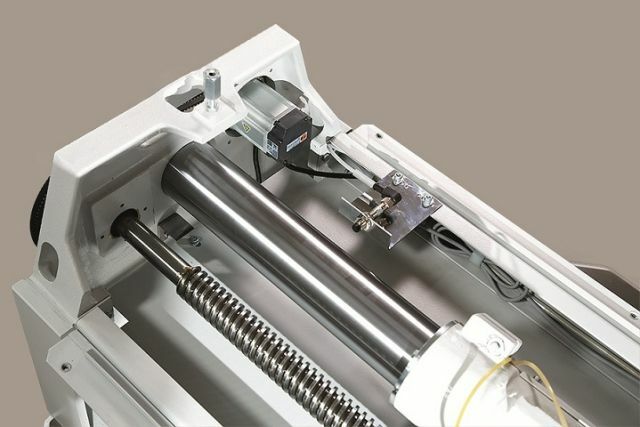 Mounted to either side of the rear table, the double-spindle drive makes way for loading material onto the high-speed guillotine (P 132) from the back. An automatic rotary gripper unit can also be used in this connection. The backgauge linear drive for machines with free rear tables (P 168, P 225) is a precondition for the use of conveying systems for rear table loading and/or of automatic rotary gripper systems. It is an almost non-wearing and maintenance-free drive assembly (similar to that of a maglev train). Since no mechanical transmission elements are used maximum traversing speeds can be achieved. 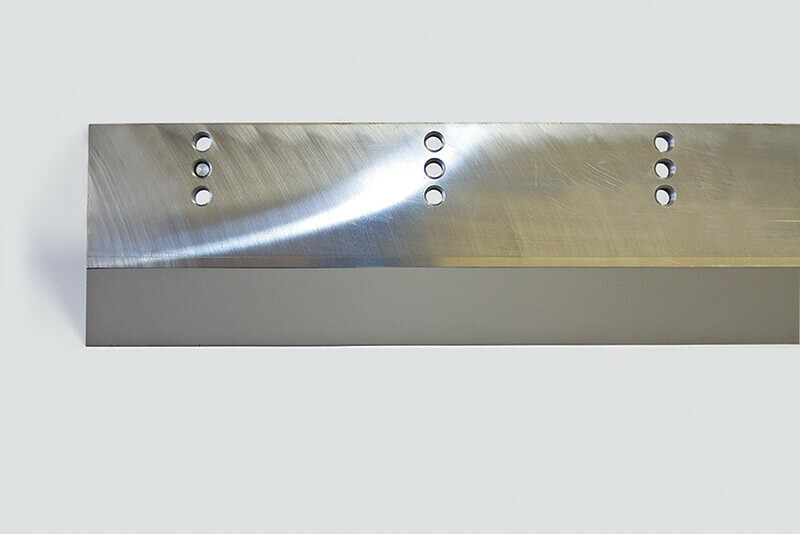 These side plates can be lowered to enable stock to be loaded and unloaded through the rear table. It lifts the pile to enable the clamp of a gripper clamp system to move in and seize the stock. This positioner allows you to automatically align the stock on the side plate. When stock is being loaded and unloaded through the rear table the backgauge travel range will be covered by this belt. 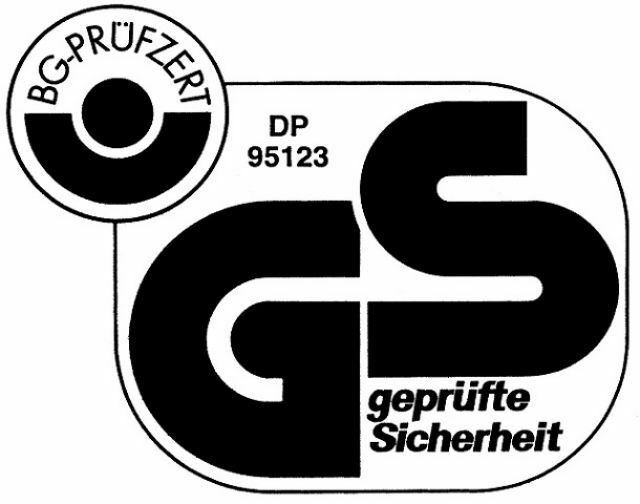 The PERFECTA rotary gripper with right-hand and lefthand lays is used for the automatic cutting of oversized and large formats. 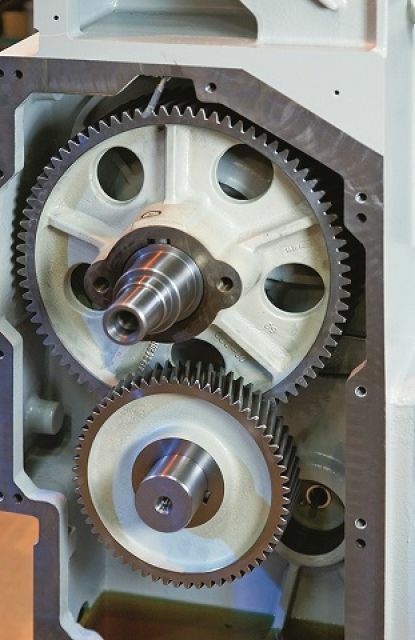 High dynamics in ream handling is ensured by the intelligent ServoDrive facility. Optimized cycle times are obtained by format-related rotation radii and format monitoring. 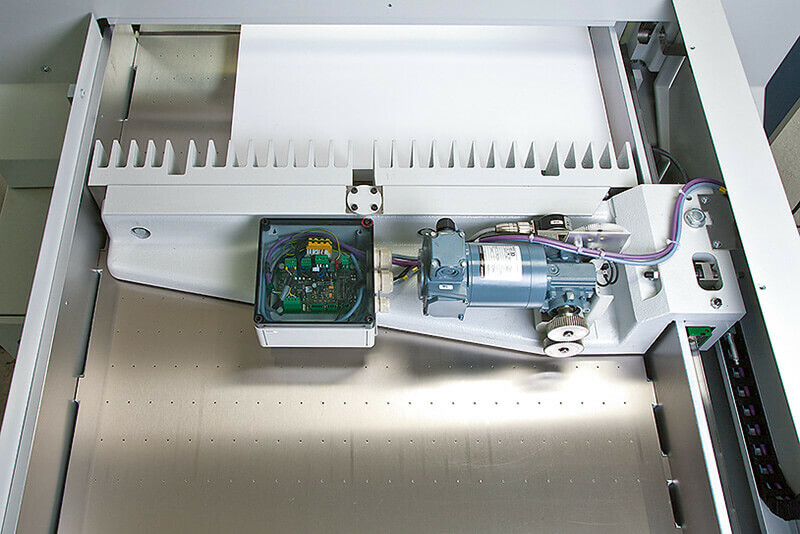 The positioner with the Servo Drive including the position sensing device serving for alignment on the side plate facilitates quick and precise cutting. The following reams to be cut can already be prepared during the cutting process, thus significantly improving the high-speed cutter’s performance.